Thursday February 14, 2019 - Controversial Gatundu South MP, Moses Kuria, has insisted that he no longer supports Deputy President William Ruto's bid despite the duo making several trips around the country together last year. 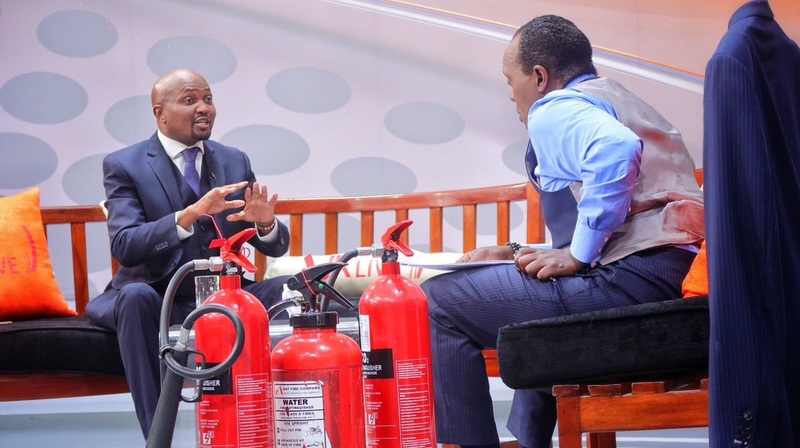 Speaking on Jeff Koinange Live show (JKL) that airs on Citizen TV on Wednesday, Kuria also dismissed claims that he has been a member of Tanga Tanga movement, a campaign team associated with Ruto. “I am only hearing that from the media," Kuria said. At the same time, Kuria revealed that he dumped Ruto and his 2022 Presidential bid after he discovered that he can also vie for the Presidency. “He is now my competitor," said Kuria.